Download Festival 2008 takes place from Friday 13 - Sunday 15 June 2008 at Donington Park in England and for British metalheads, it´s the most important event in the calendar. Jackson Guitars will be there in force again with Jackson Guitar Stations allowing guitarists of all abilities to get to grips with fearsome rock axes and playing host to the Riff & Destroy II competition. Festival goers will have the opportunity to get up in front of the cameras and perform their most metal riff. Each day, five finalists will be selected by the Jackson panel and the live final on Sunday 15 June will be judged by Jackson signature artist Phil Demmel from Machine Head. 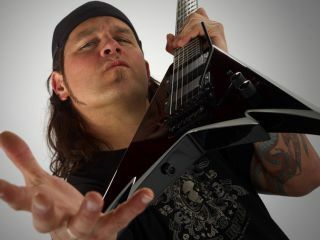 The lucky winner will receive a signed Jackson Demmelition King V and a lesson in ‘Riff Assault´. We´re not sure what that is, but we´re guessing that there´s much grimacing and throwing of horns involved. For more information, keep an eye on the official Jackson UK Myspace page.